In this installment, Mrs. Thrift and I discuss two techniques for staying on budget for items such as groceries, food, gas, clothing, gifts, or miscellaneous items. First, we discussed the power of using envelopes to keep track of both how much you have spent and how much you have left in your budget. This technique makes you more aware of what you spend money on and keeps you from having to record as many transactions in your checkbook register. During this segment I mention that when we spend with plastic, we have a tendency to spend a great deal more. Our goal is to not spend as much money so using plastic is counterproductive. Here is the link to Visa that I mentioned in the podcast which demonstrates what credit card companies know about our behaviors. Here is a similar page on MasterCard’s website. In the future, if these links don’t work, go to either companies website and look for the Merchant section then search for the benefits of accepting their cards. Somewhere you will find the argument that customers spend more with debit and credit cards compared with cash. Next we discuss the benefits of having a game plan for grocery shopping. Be creating a menu for the week, analyzing what items you need, pricing out those items to see if you can afford them, and sticking to the list, you can limit how much you spend at the store. 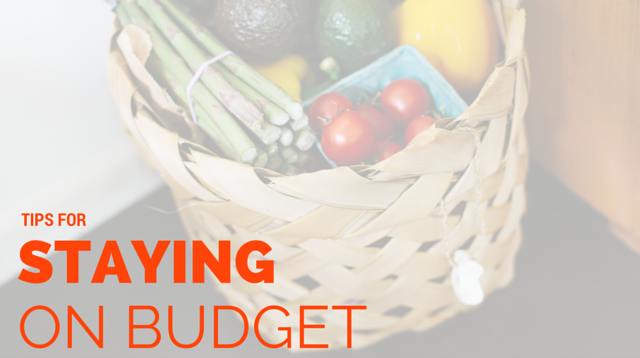 Having a grocery list is part of the tools you need in your toolbox to fight the tendency to overspend. I finished with a story to help encourage you to believe you can improve your financial situation. This story is designed to help you realize that although you are where you are financially, you don’t have to stay that way. A few years ago, I wrote a blog post about the power of using envelopes. You can read it here.